Every 12 minutes an Australian life is lost to heart disease, a disease that in 90% of cases is preventable. Also known as Cardiovascular Disease or CVD, the term covers a range of conditions involving the heart or blood vessels including Coronary Heart Disease (CHD) and Rheumatic Heart Disease (RHD). The most common CVD is CHD which is a condition that affects the blood vessels causing blockages that can lead to heart attacks and angina. According to the Heart Foundation, CVD affects approximately 3.72 million Australians and accounts for 30% of all Australian deaths in 2013. The Heart Foundation also indicates that Aboriginal and Torres Strait Islander people have the highest rate of hospitalisation and death from CVD. The Aspen Foundation has partnered with Take Heart to support the Take Heart Project and to help raise awareness of RHD, particularly in Indigenous communities. The Take Heart documentary world premiere is on Thursday, 10 March 2016 in Melbourne and reveals the incredible true-life stories of young people living with RHD, their families and the health workers caring for them. RHD is 100% preventable but it currently affects over 30 million people worldwide. Whilst some risks like family history, age and gender cannot be changed, the other risk factors can be changed. Yes, heart disease CAN be prevented. 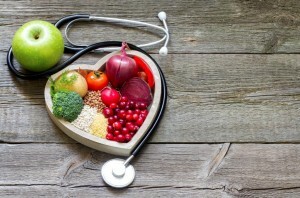 By making healthier lifestyle choices you can reduce your risk of developing heart disease. Living a healthy lifestyle is important for people who already have a form of heart disease as it greatly improves their condition. ‘Prevention is better than cure’ is the perfect idiom in the case of heart disease. Small improvements in your lifestyle can mean the difference between life and death. So get active! Change your eating habits, exercise regularly, monitor your health measurements and most importantly, stay positive! In the spirit of RedFeb, a campaign lead by Heart Research Australia held every year in the month of February to promote a healthy heart, join the army and wear red this Friday.